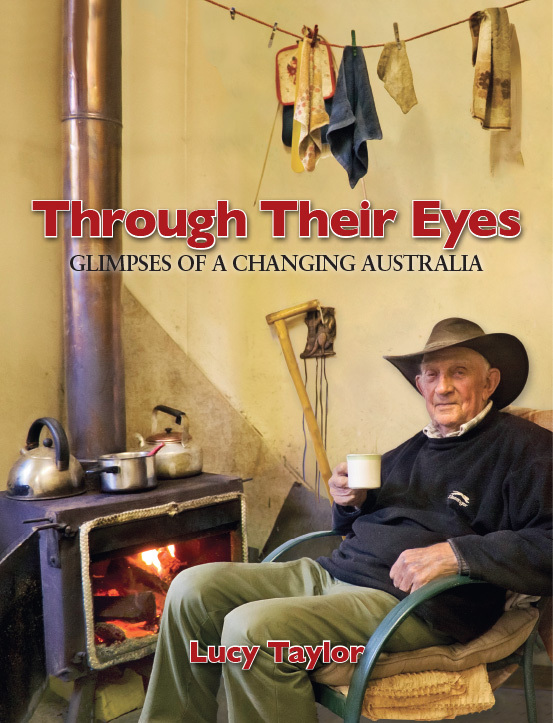 Through Their Eyes: Glimpses of a Changing Australia is a 172-page book featuring Australian stories and 90 colour photographs that showcase Australia's natural beauty. By sharing their stories, 24 longtime residents of historically significant localities reveal the dramatic changes that have taken place around them over the course of their long lifetimes. Many jobs that were once part of everyday society no longer exist. Tales from a crocodile hunter, tin miner, blade shearer and karri timber-getter reveal an adventurous pioneering spirit. Rural towns have disappeared from the nation’s maps like Wilson in the Flinders Ranges and Old Adaminaby in the Snowy Mountains. Former residents tell how this came about. Some social policies have had heart-breaking consequences. A member of the Stolen Generation and a psychiatric nurse expose a harsh reality. The ‘windjammers’ anchored off Wallaroo, the screw steamers plying the waters of the Gippsland Lakes, and the Japanese prisoner-of-war camp built on the outskirts of Cowra may have all vanished, but memories of them still linger with those who saw them during their childhoods. Despite their different life experiences, the 24 storytellers have one thing in common—they all possess a remarkable sense of resilience that has enabled them to cope with the incessant winds of change.